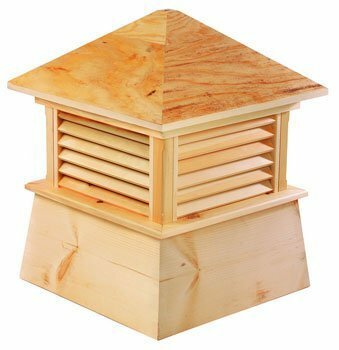 Combining Old World craftsmanship with modern construction methods, our Wood Cupolas are available in a natural, untreated wood finish ready to be stained or painted. 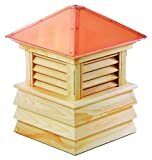 Tip: Consider adding a Weathervane atop one of our Cupolas for a perfect way to crown a home. •Built to last from select Cypress •Wood roof •Ready to paint or stain •Includes built-in mounting hardware for weathervanes •Detailed installation guide for easy installation •We stand behind every product - Your satisfaction guaranteed!